On Tuesday, September 29, 2015, the Woodberry Poetry Room’s Fall 2015 season launches with a celebration of one of the most dynamic and catalyzing literary partnerships in recent years: Erín Moure and Chus Pato. To mark the occasion and to honor the fact that this will be their first combined U.S. reading, the Poetry Room interviewed the Quebec and Galician poets (or rather, we emailed a few questions in English via Erín, who translated them into Galician, and subsequently conducted the answers back to us in English). Their visit is co-sponsored by “Rethinking Translation,” a Harvard translation think-tank founded by Professors Sandra Nadaff and Stephanie Sandler, and is also made possible by Dara Wier/UMASS Amherst, who will also be hosting a reading by Moure & Pato during their stay. The Poetry Room evening will be introduced by Prof. Daniel Aguirre Oteiza, himself a translator of John Ashbery, Wallace Stevens and Samuel Beckett. 1. 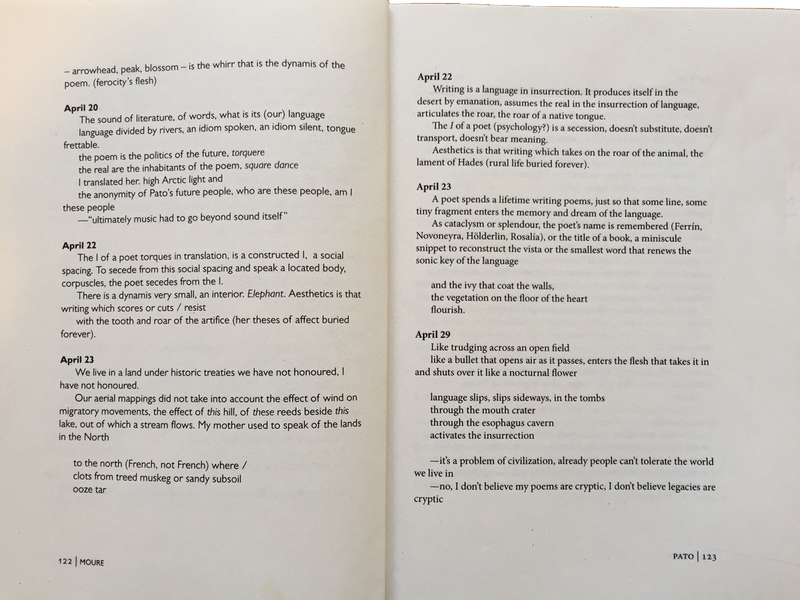 Your work in translation, Erín, unsettles many of the paradigms of translation and activates its radical reciprocation down to the level of the molecules, such that the process of translation almost seems to occur concurrently with the act of creation. How did your collaborative partnership with Chus Pato begin, and how has it evolved? Do you find that your successive projects and investigations have affected your own individual writing—thematically, structurally, procedurally? Erín Moure: Translation to me is an act of creation, as engaging and strenuous as that of creating poetry. The constraint of having to try to reproduce the effects of the original poet distills the mind incredibly. That said, translation is not an act of creation; it is an act of humility and listening. And to listen, you have to shut up! 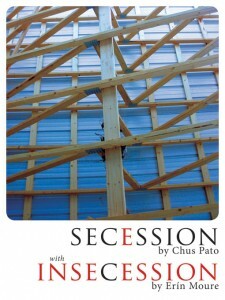 Secession was published in Galician in 2009 as the fourth book in Chus’s pentalogy Decrúa, which means tilth and tillage and tilling, breaking soil for the first time. The name of the pentalogy refers to that historical time in Europe when nomadic peoples went to the common forests and cut down trees to till soil for the first time, becoming sedentary. It also refers to a beginning, to an unfinished project, as it were. The soil is upturned: what will grow? Secession, of course, refers to the freedom of a poet, and to the Viennese Secession, the artists who at the end of the 19th century Vienna resigned from their artists’ association in protest against conservatism. In Galician, the book is the biography of a poet, and also a poetics. 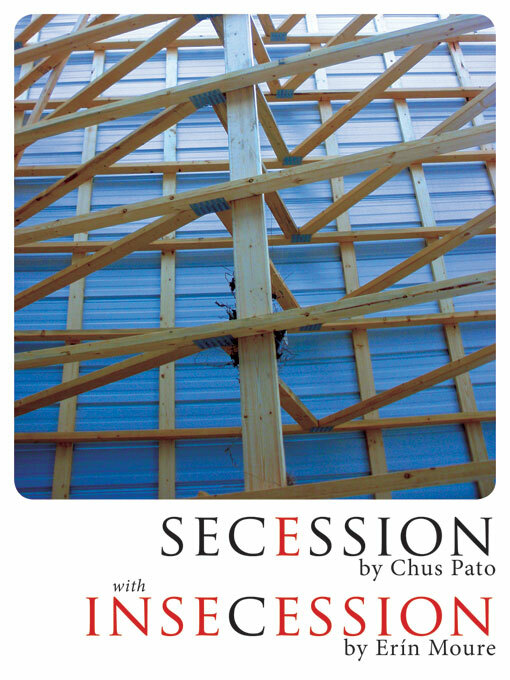 I translated Secession when it came out in Galician, and only three years later decided to try to publish it in Canada instead of the UK. In Canada it is difficult to publish foreign literature in translation, particularly literature outside the mainstream of expectation, as all literary presses are subsidized by the Canada Council (a government agency that operates independently of the government of the day) and their rules preclude using grant money for publication of work not Canadian. As such, my translations of the first three books of the pentalogy were published in the UK and distributed (barely) in Canada by an unsubsidized press. I realized that, being the same age as Chus and having a similar position as poet in my own culture, I could write my own biography and poetics, as an echo and homage to Chus’. So I responded to each of Chus’ texts in Secession, adding one extra text so that “my book” is longer than “her book” and the result, in one volume, thus qualifies as Canadian. In Insecession I talk about my own poetics, and very different experience of life (I grew up in a democracy in full postwar expansion, Chus in a dictatorship in postwar contraction), but also, more importantly, about translation. Reading and translating Pato has decidedly affected my own poetry (I have often written and spoken about this). And I would say that the fact of being translated into English and thus into cultures outside of Galicia (of many languages that also read in English) has changed Chus’ sense of address — her work by and large addresses the Galician nation, but I think she realizes more that her work has reverberations for us all, for other nations, and for those of us in marginal or differential “nations,” such as that of women, of queer life, etc. 2. Chus, though you don’t speak English, you do have contact with American poetry in Spanish translation and you know at least a bit about the work of Erín Moure. What effect (if there is one) does Erín’s work, her poetry and poetics, have on your own work or on your own vision of poetry, of the transmission of a poem? Chus Pato: I’m unfamiliar with the North American poetry tradition, which is a problem as I have no panoramic view. Even so, my avid readings of selected American poets have convinced me that the poem can name worlds that I’d not seen recorded in poetry, that the poem can adopt a more agile structure, more flexible, let itself be “contaminated” without loss of rigor. In other words, I saw that there were broader mental and linguistic ways of articulating a poetic text. As well, for me, it was interesting and encouraging to see that a “national poetic home” could be maded in poetry and that the gaze of poets could be turned as much to one’s own world as toward the reality of other cultures [Erín notes here: this is a problem in small cultures, as the forces of the world urge them to find their own culture unimportant. In large cultures, we have the reverse problem; we forget to look outside!]. I greatly value the works in particular of those poets who in their work meditate on being. Over time, I’ve read, above all, Ezra Pound, Gertrude Stein, Elizabeth Bishop, Sylvia Plath, John Ashbery and Wallace Stevens. My first encounter with the poems of the L=A=N=G=U=A=G=E poets was a total discovery as well, one that gave rise to changes in my own poetry in the ways I’ve explained. Lamentably, I know too little of Erín’s poetry, but I am fortunate to know her, and we have spoken at length and deeply of poetry and translation over the years. I am very fortunate in that she decided to translate what I write into English. I feel my debt to Erín can’t be repaid, and I am not referring here to the expanded reception of my work; it is her gesture that I will not be able to repay, the gratuitousness and risk of that work, that intelligence, that emotion. The deep friendship we maintain has changed my work by making me reflect above all on questions that have to do with translation. To the point where I have come to see that every poem is in itself a translation, translation of the unsayable that is poetry into something writeable that is the poem. Above all, I’d say that Erín Moure’s generosity sustains my writing and make it possible, makes it possible for me to continue persisting in this foolhardiness, this grandeur of placing one word after another and then another. As Quebec and Galician poets respectively, you write in what could be seen as linguistic minorities within your own nations: have you found this status to be liberating in terms of experimentation and independence? 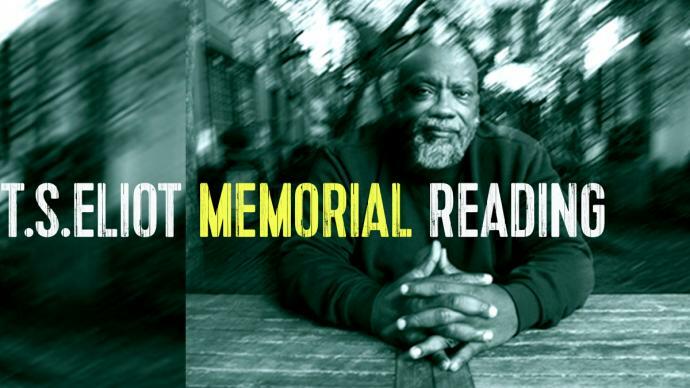 Why do you think your work has found such a resonance amongst poets in the United States? Erín Moure: I am a Quebecker, but grew up in western Canada in English as an unhyphenated Canadian. I’ve lived in Montreal over thirty years; my languages are French, English and Galician, and I live mostly in French though I write poetry in my native language, English. Though English is a minority language in Quebec, it is a majority language outside Quebec and an international idiom of exchange. As such, my work is more known outside Quebec than inside, and I enjoy the anonymity. Although I am bound to the history and present of Quebec as a unique French-speaking society, I have never felt myself bound to one language, one thinking, one “lingualism.” Mine has been a kind of independence in poetry, because I follow my interests and instincts and research regardless of what is in fashion. The poetic debates that impassion my thinking occur in many places: Galicia, Chile, Bolivia, Paraguay, Quebec, Canada, Brazil, France, Ukraine, Romania. It’s a rich life! Chus Pato: Writing in any language has benefits and inconveniences that depend on the situation of the language in question. For me, writing in Galician is a question of justice and, thus, of freedom. My choice of Galician as poetic language was made freely; I could have elected to write in Spanish, but that was not my decision. Neither the Galician language, nor its spendid poetic tradition, curtail my freedom, and neither would using Spanish constrain it; I consider that this freedom can only be restricted by my own lack of talent or perseverence. It’s quite a different subject, however, to speak of the reception of poets like myself who write in languages that are not those of the State (i.e. in Spain, not in Spanish but in the languages of the so-called “historic nationalities”) or that are not supported and are even attacked by government policies that in theory should be defending them. In this, yes, there are injust situations and poets suffer them too. At the same time, we who decide to write in those languages have the advantage of knowing what is at stake, and perhaps we are less vulnerable to adversity and to the indifference of the world toward poetry. I am barely conscious of how what I write may resonate for poets in the USA; I know from Erín that my poetry is valued, and my own experiences on a few occasions have confirmed this. One of those happy experiences was in Rotterdam a few years ago; I was headed to the buffet for breakfast in the hotel where festival participants were staying ,when I caught sight of my books Charenton and Hordes of Writing on a table, and who was sitting there but Ron Silliman! It was a moment of amazement and joy. Chus, this is your first visit to the United States: Could you talk a bit about your reservations (if any) about visiting this country, and also what you hope to learn from this experience/encounter? Chus Pato: It is, yes, my first visit, although not my first invitation. I could have come here as a tourist, but never have. I have no reservations; if I did, I wouldn’t have accepted the invitation. It’s a visit to a place for which I have many references but no experience, a trip into the unknown. I’ll learn whatever my intelligence permits, and I know that when I return to Galicia, my emotional and mental system will have expanded, and I may even become a better person and consequently a better writer… okay, I’m half kidding. Let’s say it’s a challenge, and I never know what I’ll learn when I accept a challenge; I only know that learning is guaranteed. You’re going to be reading from Secession/Insecession (BookThug, 2014) at your Harvard event. The word “secession,” as you probably know, in the United States has a very troubled connotation, relating to our civil war, and in Europe has additional cultural/aesthetic resonances. Can you discuss what these words contain or release for you within your own nations’ literary and social histories, especially in juxtaposition? And how they relate to or echolate your own poetics/politics? What challenges does the experience of giving public readings in English present to you as collaborative partners? Chus Pato: The challenge from my point of view is always the same: to succeed in transmitting to those who have the good will to accompany me something of the process of writing. It isn’t easy for me to move from a written form to a possible orality and uncertainty of the same text. With an English-speaking public, I concentrate on making the whole reading as agile as possible, so that the fact of translation doesn’t slow down or excessively burden the transmission of the poem. Erín Moure: I’m with Chus. The challenge is to let Chus’s work appear and let people hear her voice and the Galician language, as well as hearing the poem in English, without overburdening the reading event so much that the experience of the poem itself is lost. In the case of every other book of Chus’s, this is easier: there are just two versions, her original and her voice, alongside mine and my translation. Reading from Secession and Insecession is quite another challenge. Firstly, we can never transmit the readerly experience of that book as a whole. You have to hold it, and read it. Secondly, I want to let Chus’s work assume its rightful place, and my North American response and story its rightful palce, without smothering the reading experience in my own voice. I read the translation of Chus, while she reads the original; then I also have to read my work in Insecession. That’s a lot of Moure yacking! As such, we work together to sculpt a performance from the text each time we read from it, to open the texts, both texts, yet equalize the voices. It takes a bit of planning and practicing to allow this to occur. Lucky, we love working together and we love challenges. Curator’s Note: For additional dialogues between Moure & Pato, visit BookThug and Jacket2. And we encourage you to attend their reading on September 29th at the Edison Newman Room, Houghton Library.